Jeremy Corbyn is not calling for a referendum on Irish unity but highlighted how a poll could be held under the terms of the Good Friday Agreement. The Labour leader has historically supported the policy but announced on Friday that he was not "advocating" a referendum on it. Speaking on his first visit to Northern Ireland since becoming Labour leader, Mr Corbyn was asked if he would support unification if he became prime minister at the next general election. "It's a decision that could be made within the terms of the Good Friday Agreement," he told an audience at Queen's University Belfast. "If that is the wish, such a poll would happen. I'm not asking for it, I'm not advocating it." 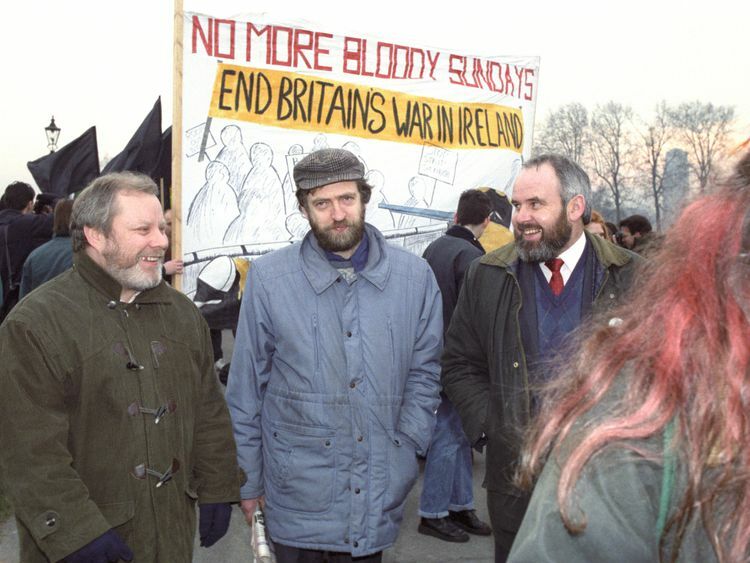 :: Corbyn calls for Ireland to help resolve Stormont collapseThe comments come less than 24 hours after Mr Corbyn's spokesman told reporters: "Over the years he made his position clear that the majority of those people across the whole island of Ireland wanted to see that outcome - a united Ireland. "They added that Mr Corbyn "respects the Belfast Agreement and the process". DUP MP Sir Jeffrey Donaldson responded by accusing Mr Corbyn of "chasing moonbeams".While Sinn Fein welcomed the comments as part of a "live and current" debate.